Are your windows are foggy, drafty, difficult to open? Do they have rotting frames or sills? It might be time to seriously consider the tremendous benefits of installing replacement windows. Today's advanced windows save energy, provide consistent room temperature, increase home security, and enhance curb appeal. In addition to that, if you ever decide to sell your home, replacement windows can yield up to a 73 percent return on investment. Installing replacement windows is one of the most cost-effective home improvements you can make. Well-insulated windows keep extreme outdoor conditions from affecting your indoor heating and cooling system. Some of today's energy-saving windows have multi-paned glass capable of blocking out as much as 84% of the sun's ultraviolet rays. High-performance windows have lower U-factors that result in a higher interior window temperature in winter and thus improve comfort. Proper installation along with weather-stripping designed to seal tightly also improves comfort by reducing cold air leakage. 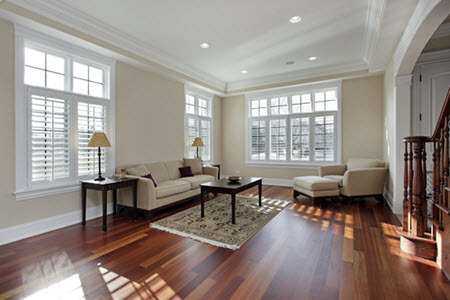 Replacing your existing windows with new quality windows that feature advanced designs will increase sustainability. They offer easy-clean features, durability, and quality construction. Innovative designs like between-the-glass blinds, shades or grilles not only contribute to less time spent cleaning, they also reduce dust and allergens in your home. Materials such as carpet, fabrics, paper, artwork, paints, and wood may fade upon exposure to sunlight. By installing high-performance windows that incorporate UV absorbers you can reduce UV transmission to less than 1%. This will drastically reduce fading for most modern interior furnishings. Since the materials and windows we install are the best on the market, you can expect to see lower energy bills, and feel great knowing your new windows are better designed to protect your home and family. Rockland County Handyman is here to serve your needs, and earn your loyalty as another satisified customer. — For new windows, the choice is clear!